We had our Coffee and Cake session on 27 July 2018. This was the fourth session held this year and it was well attended by postgraduate students. 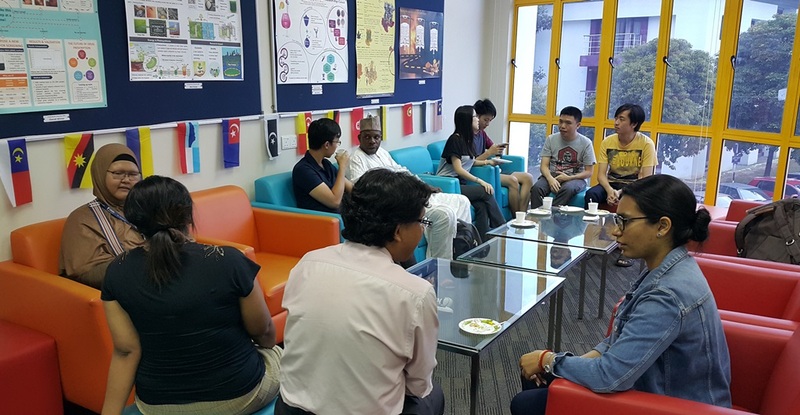 It was a platform for postgraduate students to temporarily get away from their routine and meet up with one another whilst enjoying coffee and cakes. Prior to the Coffee and Cake session, the students were invited to attend the Postgraduate Prize Awards presentation ceremony. Together with the other guests which included the Faculty Associate Deans of Research and postgraduate research supervisors, they joined to celebrate the commendable achievements of the prize winners who are also their fellow postgraduate students. Read more about the Postgraduate Prize Awards Presentation 2018. We would like to take this opportunity to thank all those who attended the session this time despite the busy and hectic schedule. Nevertheless, we hope to see you again in the next session. These sessions are open to all postgraduate students including postgraduate research students (PGRs) and postgraduate taught students (PGTs) on campus. For any enquiries, please email us at graduateschool@nottingham.edu.my.